Any celebration of uncelebrated locomotive’s had to include at least one Hunslet Austerity Tank engines and the East Lancashire Railway mustered two for their Small Engines Weekend. I often harp on about the virtues of Hunslet Austerity Tank engines, and it’s because I feel they need a little defending from the bashing they get! They are by far the most numerous class of steam engine to be found in the UK, they are relatively cheap to run, reliable and powerful and without them, plenty of preservation movements probably would not have got off the ground. To read more about them, check out part one of my tribute to the Hunslet Austerity here. War Department 132 Sapper pictured above was built in 1944 and was pressed into military service. The National Coal Board then purchased her and she then had a long career in industrial service. Interestingly, Sapper has a notable claim to fame – she was the last steam locomotive to work in industrial service in the UK. Sapper was withdrawn from Bold Colliery in 1984. 75008 Swiftsure pictured below is a year older than Sapper and in fact is the second oldest surviving Hunslet Austerity. It is a former Cadley Hill Colliery loco, a well known former stomping ground of the type. It was good to see another 2 Austerity’s in steam and has made me wonder whether a great trainspotting challenge could be to see all 70 survivors of the class. Hmmm, that could be a challenge! 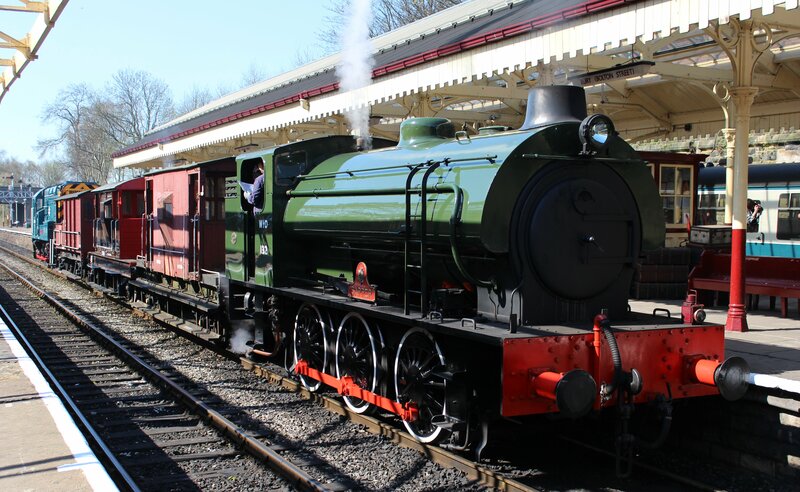 To read more articles from the visit to the East Lancashire Railway’s Small Engines weekend, click here. 05/06/2015 in East Lancashire Railway, Region - Industrial.